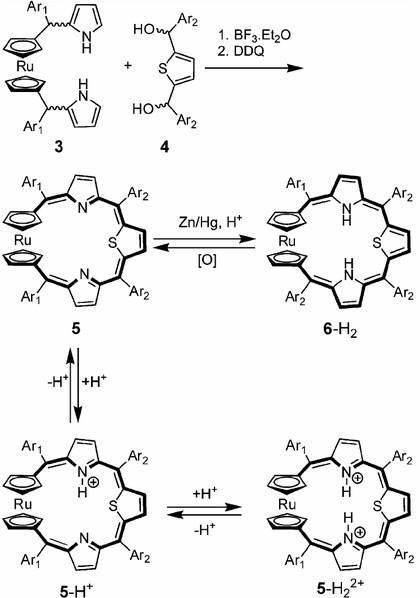 The next step undertaken by I. Simkowa (Grocka) in merging of metalocene and porphyrinoid moieties was synthesis of ruthenoceneporphyrinoids. 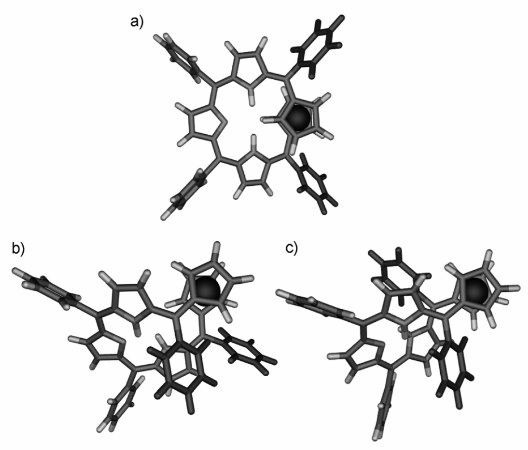 The hingelike flexibility of ruthenocene plays the critical role as a determinant of aromaticity as exemplified by its aromatic synperiplanar and antiaromatic anticlinal(eclipsed) conformers of ruthenocenoporphyrinoids. Grocka, I.; Latos-Grażyński, L.; Stępień, M. Ruthenocenoporphyrinoids: Conformation Determines Macrocyclic π Conjugation Transmitted Across a d-Electron Metallocene. Angew. Chem. Int. Ed. 2013, 52, 1078.